The purpose of the Policy on Postdoctoral Fellowships is to reaffirm the university’s commitment to research and mentorship. The policy aims to ensure that Postdoctoral Fellows (PDF) are appointed and funded equitably, that their postdoctoral experience is effective as post-degree training, and that Laurier remains a leader in innovative and purposeful trainee mentorship. For the university, PDFs can enrich and invigorate a department/faculty; can enhance the research profile of the unit and the institution; can foster diversity in an academic unit and in the university community; can meet specific or unique short-term teaching needs; and, can provide an informal process for recruiting possible future faculty appointees. For recent PhD graduates, a PDF position enables one to complete a book or articles from their dissertation; to launch a research program and to write grant proposals, perhaps in collaboration with Laurier faculty; to acquire specialized technical, analytical or interpretive skills; to collaborate with senior scholars in a new or existing area of expertise; to establish a network of scholarly peers beyond those at the PhD granting institution; and, to acquire experience in teaching. 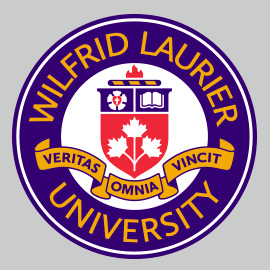 This policy applies to all PDFs who receive income through Wilfrid Laurier University’s Human Resources and/or who hold an externally-awarded postdoctoral fellowship for which Wilfrid Laurier University is the formally designated institution for tenure of the award. It applies to all academic faculties and their departments who host PDFs, to the Office of Research Services as it pertains to its mandate to administer research grants and to provide services related to the research activities in the university community and beyond, to the Human Resources Department which has responsibility for payment and benefit coverage for PDFs, and to the Faculty of Graduate and Postdoctoral Studies, which is responsible for appointing qualified individuals to the university as PDFs, and ensuring that the conditions of the appointment are met and that there is adequate support for training and mentorship. Normally, the appointee must have been awarded a PhD or equivalent within the five years immediately preceding his/her initial appointment as a PDF at Laurier. The appointment is of a limited duration, from a minimum of 4 months to a maximum normally not to exceed three years. Extensions beyond three years may be approved in one-year increments only. Faculty may recruit PDFs by whatever method they deem appropriate (e.g., by personal contacts, the WLU website, professional newsletters and listserves in the field, or by advertisement in the local, national or international press). With the support of the Department Chair and the Faculty Dean, an offer of a Postdoctoral appointment will be made by the Dean of Graduate and Postdoctoral Studies. Extensions to an appointment may be made only by the Dean of Graduate and Postdoctoral Studies upon the recommendation of the faculty supervisor and with the support of the Department Chair. Each PDF at Laurier, regardless of funding source, will have access to the Library, computing services, and research space (shared or dedicated, depending on needs and availability). Each PDF may use the resources of the Office of Research Services to apply for any external grants for which they are eligible. PDFs are entitled to attend any educational development or professional training opportunities offered to graduate students and to faculty. PDFs holding appointments of 6 months or longer are eligible to purchase health and dental coverage as available through the university’s coverage for PDFs. PDFs are expected to observe and to conduct themselves according to all University policies (e.g., research integrity, research ethics, conflict of interest, misconduct, intellectual property, biosafety, information technology, confidentiality, harassment and discrimination).